Description: Good British quality. H.S. Walsh home brand. Description: Black 0.20mm, Red 0.30mm, Blue 0.40mm, Green 0.50mm, and Yellow 0.80mm. Plastic handles with metal tips. In a storage pouch. India. Description: 6 pieces each of #18491 (4-1/2") & #18492 (8") oiler extensions. Slip them onto the tips of precision pen oilers to extend the working length. Description: One each of #29341, #29342 and #29343 empty oil dispensers. Description: Consists of a short (1"), medium (2-1/4") & long needle (3-3/8") oiler with a good quality clock oil. The oilers may be purchased individually as #13717, #13839 and #19878. Synthetic oil. 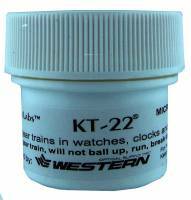 Description: For small gear trains in watches, clocks and other instruments. Never breaks down, creeps or bleeds. Protects against condensation and seals plungers. Waterproofs screw-back watch cases. 1 ounce jar. Description: For small gear trains in watches, clocks and other instruments. Never breaks down, creeps or bleeds. Protects against condensation and seals plungers. Waterproofs screw-back watch cases. Preloaded syringe applicator. Description: Plastic grease dispenser with a 2 inch metal tip. Empty and refillable. Description: Plastic grease dispensers with 2” metal tip. 2 Oz. Empty & refillable. Description: Plastic grease dispenser with a 2 inch metal tip contains 1 ounce of quality grease. Semi synthetic. Description: Plastic grease dispensers with 2” metal tip. 2 Oz With Grease. Semi synthetic. Description: Precision plastic pen oiler has a 1" long needle. Empty and refillable. Description: Made in England. Superfine quality oil formulated from a blend of refined mineral oils. Thin enough to coat working surfaces without stickiness. Repels moisture. No gumming. 60 ml bottle. Description: General purpose medium viscosity oil for all clocks. Great for marine & brass instruments. Resists deposit build-up & does not gum up or evaporate. Helps prevent oxidation & corrosion. Good in cold conditions. 50 ml bottle. Description: General purpose mainspring lubricant. Not as thick as grease, but thicker than oil. Can be used in watches, alarm clocks, pendulum clocks, and wall clocks. 20ml bottle. Description: #8031 oil is used in applications at lower temperatures than #8030 oil. 20 ml Clock Oil. Description: Special lubricant for all sizes of mainsprings. Also can be used for winding and setting parts in watches. Spreads uniformly, will not dry out, gum or spread. Description: Type B for bracelet watches. It is a fine oil composed of natural and high viscosity oils. It is slightly colored, odorless, and stays fresh for years. 2ml bottle. Description: BACK IN STOCK! Super refined. Will not spread, gum or corrode. Synthetic. Description: Precision plastic pen oiler has a 2-1/4" long needle. Empty and refillable. Description: Empty and refillable plastic oil dispenser with a 2-1/4" metal tip. 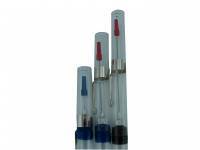 Description: Precision plastic pen oiler has a 3-3/8" long needle. Empty and refillable. Description: Novostar grease is a fine Swiss made mainspring lubricant. 40cc bottle. Description: Set of 3 color coded dip oilers. India. Description: 30ml bottle of Novostar oil for tower and wall clocks. Made in Switzerland. Description: Refillable plastic dispenser with a 2-1/4" long metal tip. Contains 15cc of good quality clock oil. Semi-Synthetic. Description: 25cc bottle of Moebius Clock Oil. Made in Switzerland. 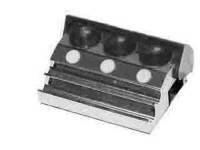 Description: For mainspring & other sliding parts. 1 ounce. The Sytem #163. Description: 8cc bottle of Moebius Watch Oil. Made in Switzerland. Description: 2 ounce bottle of slippery mainspring lubricant. Lasts for 10 years or more. Contains oxide inhibitors and wetting agents. Petroleum based. Great power transmission. Description: 4 piece dip oiler set is color coded. Applies varying amounts of oil. From Switzerland. Description: 4 ounce bottle of slippery mainspring lubricant. Lasts for 10 years or more. Contains oxide inhibitors and wetting agents. Petroleum based. Great power transmission. Description: Heavy nickeled base with 3 glass cups. Retractable cover prevents contamination. 3 oiler holders & 2 grooved holders. India. Description: 8 ounce bottle of slippery mainspring lubricant. Lasts for 10 years or more. Contains oxide inhibitors and wetting agents. Petroleum based. Great power transmission. Description: 1 reservoir plastic oil cup with a cover. Made in India. Mainspring Lube Light - 2 Oz. Description: 2 ounce bottle of "light" mainspring lubricant. Prevents rust. Description: 3 reservoir plastic oil cup with a cover. Made in India. Mainspring Lube Light - 4 Oz. Description: 4 ounce bottle of "light" mainspring lubricant. Prevents rust. Description: Plastic capillary oiler with a 1" fine metal tip. Made in India. Mainspring Lube Light - 8 Oz. Description: 8 ounce bottle of "light" mainspring lubricant. Prevents rust. Description: 2-1/4" long oiler with a 1/2" needle. Made in India. Description: 4-1/4" long precision hypodermic oiler has a .023" diameter needle. It isn't sharp so it won't cut into material. 2cc capacity. Oil not included. Description: 4 ounce bottle of X-Rust rust remover. 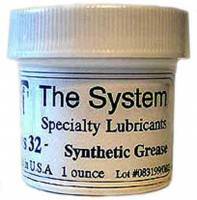 Description: 1/4 ounce bottle of The System #163 Oil, a new synthetic lubricant that does not spread, gum or oxidize. Description: 8 ounce bottle or X-Rust rust remover. Description: Keystone Clock Pivot Oil prevents oxidation and stays where it's put. 2 ounce bottle. Semi-Synthetic Oil. Description: 2 ounce bottle of SiliKroil Penetrating Oil, a penetrating solvent which contains silicone and can pentrate microscopic spaces to free rusty and frozen parts. Dissolves greases and carbon. Description: 4 ounce bottle of SiliKroil Penetrating Oil, a penetrating solvent which contains silicone and can pentrate microscopic spaces to free rusty and frozen parts. Dissolves greases and carbon.